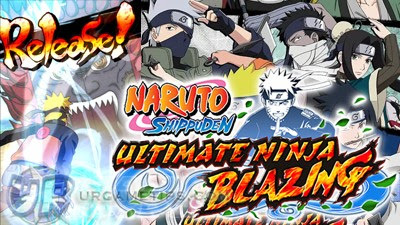 Here's some quick beginners tips, tricks, and strategy guide for the RPG mobile game NARUTO SHIPPUDEN: Ultimate Ninja Blazing. - Your aim here is to re-roll your 1st few summon attempts early game to get powerful ninjas. - Preferably 5* ninjas, or their 4* versions (full list here: Re-Roll Guide and Tier List). - If you didn't get any ninjas you like, exit the game then clear your app's data to reset the game. - Decent attacker, but will probably get replaced by one of your re-rolled ninjas. - Can be used for Emergency Missions that only require Heart element ninjas. - His 3 Chakra Ninjutsu is also good for Phantom Castle fights. - Decent healer, can also be used for Phantom Castle teams early game as support or 2nd healer. Useful for Emergency Missions that only require Body element ninjas. Enter The Phantom Castle Right Away! - Yup, always spend those 3 PC Stamina, because they will also get refreshed every time you level up. - "Set Up" your team ("no team cost restriction here"), then choose a player that has the lowest Lvl and/or Points for now, use the "Update" button to refresh the list. - Note: Even if you lose, you'll still get some Points. - The Element Affinities: Check the Elements of your allies and enemies before acting. - Enemy Targets: Enemies will always attack the nearest ninja, use this to your advantage. - Canceling Moves: Just drag towards your ninja's icon to reset their position. - For more battle tips, go to Other > Help > Battles in-game. - Ninjas with healing ninjutsu and/or skill are also great here when done right, especially when you are up against stronger teams with almost 10x your HP (ex: 2 healers and 1 AoE DPS). - You can also go for an all out attack team (fast DPS low chakra AoE ninjutsus, or high single DPS) and strategy, just don't stack up too close. Aim for Higher Floor Lvl and Ranks! - Once you are confident with your team, defeat higher Ranked players, to increase your Rank faster and receive more Points. - Try to reach at least Rank 10,000 by the end of the event period to get the featured ninja. Note that other players can also out rank you while you are offline. - As much as possible, use the "Gather Friends" option to get "First Time Bonuses" every after battle. This feature is also a nice way to get some few Ninja Pearls early game. - Check the Special Reward Conditions and complete all 3 to receive all one-time rewards for that stage. 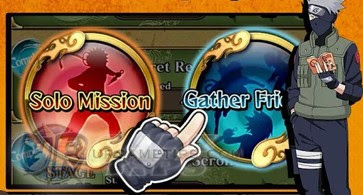 Select "Solo Mission" only if you think that using the "Gather Friends" option might not be suitable to complete a specific condition or stage. - You can also check the conditions during battle via the "MENU" button. Use this when helping out friends or other players. - Note: The day in-game depends on the the server reset time. Days may also be extended due to in-game events. - If you still have lots of Stamina left and your EXP bar is around 80%, go and replay Stage 1-1 for example. Choose the "Gather Friends" option to gather more Ninja Pearls from "First Time Bonuses". - Just make sure though that you will not level up while doing this, especially if you want to use your excess Stamina for the next example below. - If you think you are about to level up, try to use up all of your remaining Stamina in one battle. - Example: Choose a stage from the Emergency Missions section with 15 or 25 Stamina requirement, instead of the normal Story Mode stages early game. This way you'll be able to get more EXP, Ryo, and other useful Items. 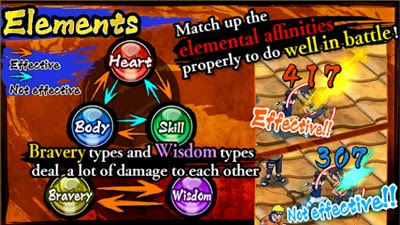 - Keep at least 2 main "Front" ninjas per Element, then 3 "Buddies" of the same element if needed. - Front ninjas can be attackers, tanks, control ninjas, healers and more, depending on your play style. - Ninjas with Buddy Skill that can decrease the damage of a certain Element. These ninjas are also considered as top tiers in the game! - Healers are mostly used to help complete stronger stages. Keep all 4* and above ninjas including the starter 3* Iruka as backup healers. If you're trying to complete a higher stage, it is best to select a healer with an Element that is suitable for that stage. - Notable Healers: Kabuto Yakushi - The Sound's Spy, Shizune - Tsunade's Attendant and more. - Keep some ninjas that can reduce the chances of status ailments, you might need them to complete certain stage conditions. - Not all ninjas can be awakened to 5*, because some of them are capped at 4* or 3* especially those that you can get from Summons or Stage Drops. - To check, go to the "Awaken" section and see if they can be upgraded further. - Enhance: Use items or your allies for enhancing your main ninjas. More info and tricks about enhancing and inventory management below this guide. - Release: If you want to Sell certain items for Ryo. - Expand: Feel free to expand your inventory by using Ninja Pearls, it's ok because all players are doing it. - Required to play missions. - Restores 1 Stamina every 3 minutes, and will instantly refill once you level up. - Optional: Use 1 Ninja Pearl to refill your Stamina. - Required to challenge other players. - Restores 1 Stamina every 1 hour, and will instantly refill once you level up. - Optional: Use 1 Ninja Pearl to refill your PC Stamina. - First Time Bonuses using the "Gather Friends" Play Style or Multiplayer Team Fight option. Note that this feature is capped at 110 Ninjas Pearls. - Special Events (check Present Box), and more. - Use FP to get more Ramen (EXP Materials) and Gama-chan (Sell for Ryo). - To learn the best ways to use your Friend Summons, refer to the Enhance Guide below. - "Add and Invite Friends" then use them every time you go into Solo Missions to get higher Friend Points. - If other players will also use your current team's Captain. - One-time stage completion rewards. - Can be obtained as battle completion reward from Ryo based Emergency Missions. Available during Saturdays and Sundays server time. - Now available from the Friend Point Summons. - Use the "Release" option to sell these items. - Tips and Guide for the Enhance feature, +Values, Abilities, Inventory Management and more.